Lightweight, machined multi-tools for modern component groups. Lightweight, low profile multi-tools optimized for modern component groups. CNC machined aluminum side plates with integrated magnetic quick link holder (SV 16 only). Forged, Center-Pivot stainless steel bits. 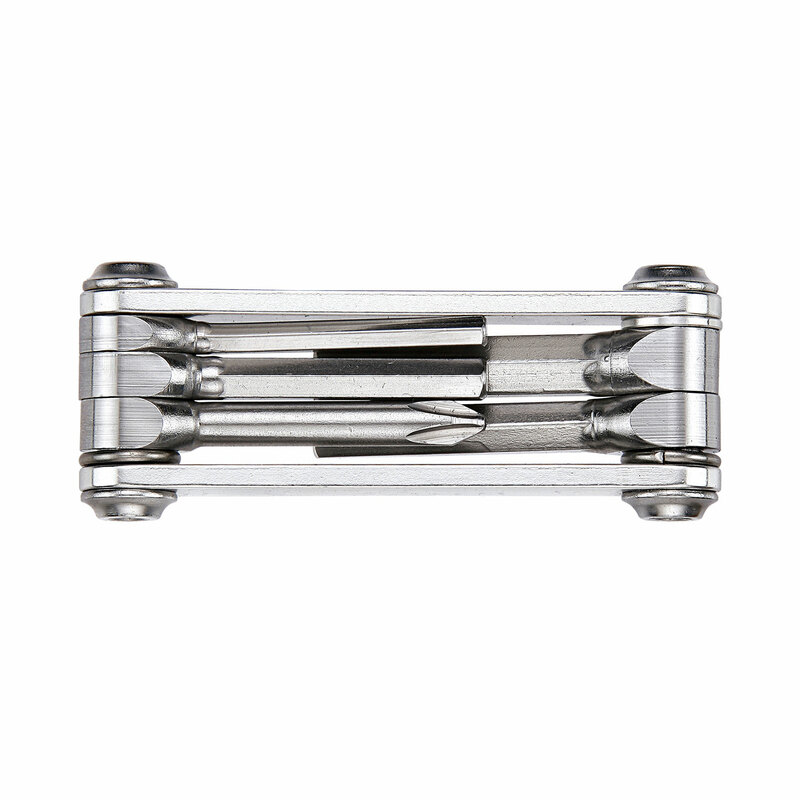 Durable stainless steel fastening hardware. 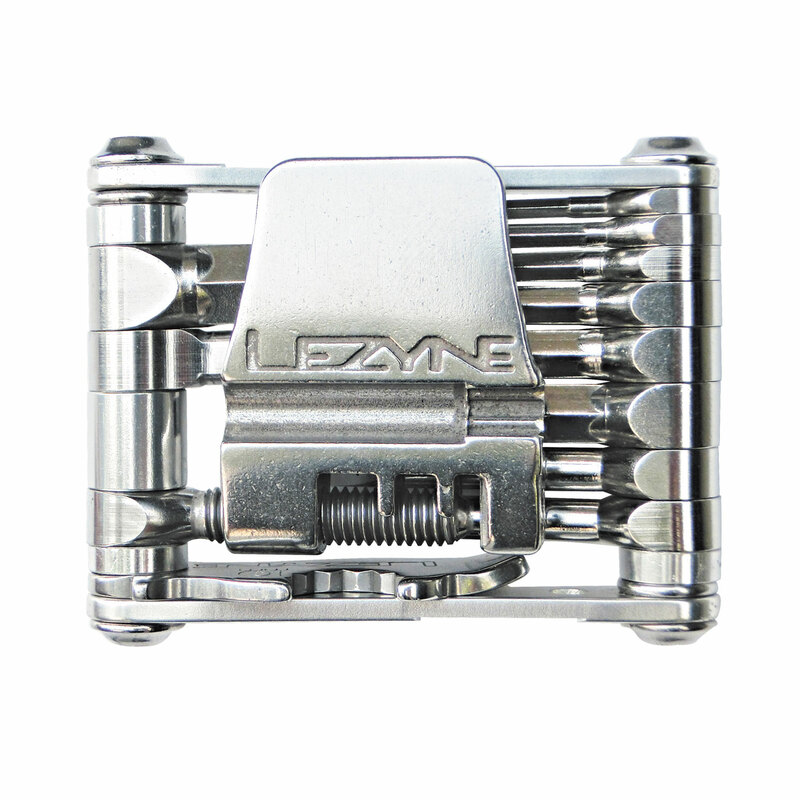 "Lezyne are a company that have the ability to make a seemingly mundane product such as a pump or multi tool into an object of desire. They mix quality materials with well thought out design and an attention to detail, which result in objects that demand attention. 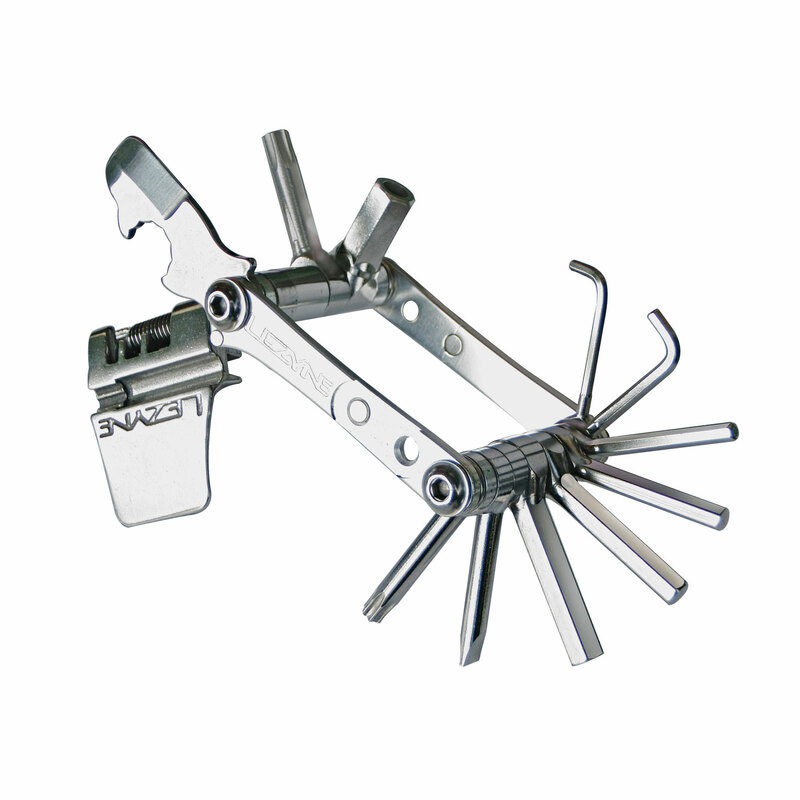 This is certainly true of their SV10 multi tool, which packs, as you may have guessed, ten tools into a light (only 101 g), compact and attractive package." 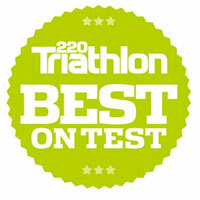 Bike Rumor took to the mountain trails to test the Lezyne SV-11 multitool, putting it to the test in real conditions. For those who hit the trails hard and need a sturdy, durable tool to fit into your pocket, the SV-11 tool will surely handle any job you throw at it. "For quick repairs, the tool has performed everything demanded, and looks no worse for the wear after months of living at the bottom of my hydration pack. Each of the bits appears to be very high quality and we can’t complain about the weight or ergonomics. 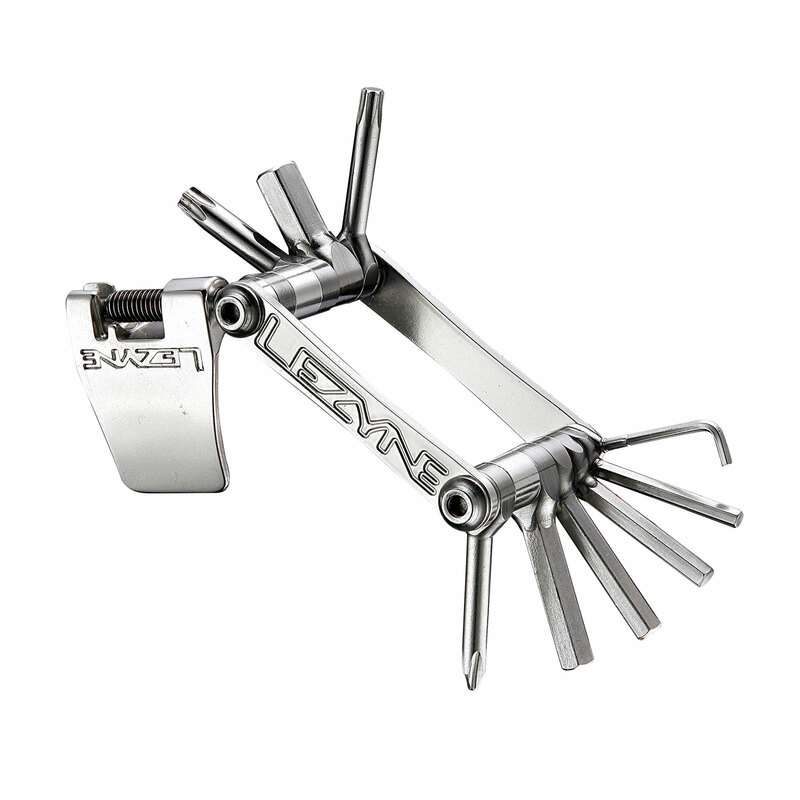 If you’re in the market for a multitool that packs in lots of features, and will last for years, the Lezyne SV-11 is well worth a look." Cyclocross Magazine's Holiday Gift Guide 2013 features the Alloy Drive Hand Pump and SV-11 multitool as their top gift ideas for the 2013 holiday season. The holidays may be over, but it’s never too soon to be thinking about next year, and we’re sure that that cycling Valentine of yours would love one of these! Lezyne's new digital floor pumps are available in standard high volume pump in Sport, CNC, Alloy and Steel Digital pumps. At the moment, they're all high pressure (read: road tire) models, plus one for shocks. Yes, a floor pump for suspension. It's not the first time someone's done it. It pumps 1/3 the air of a standard floor pump and goes to 300psi. Really, it’s aimed at team mechanics and others that have to set up a lot of forks and shocks. There’s wood handle and the pump head has a dual disconnect that lets you remove the head from the hose to disconnect without losing air pressure. Then you thread the head off the shock. An inline pressure release valve lets you bleed air a little at a time to set it just right. Retail is $109.99. SV10 Multi-Tool review by Wojtek Wysocki for the Atlanta Sports Gear Examiner. Thanks Wojtek! Andy Johnston has spent most of his life in the bike world, and over 20 as a Mechanic. 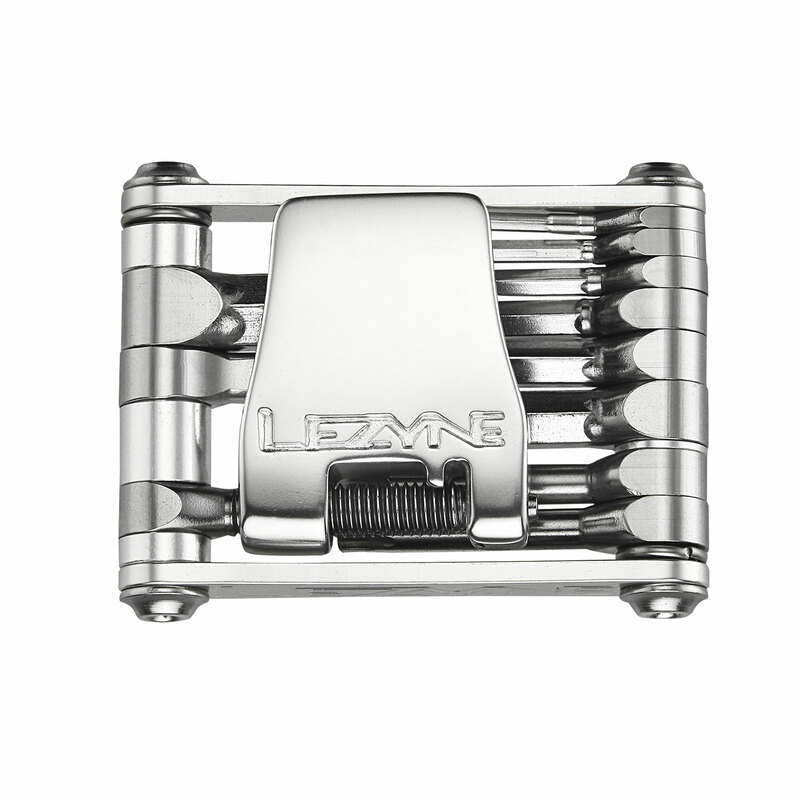 There are a myriad of multi-tools out there, but few as finely crafted such to appreciate the detail as the Lezyne SV multi-tool.